CommScope ACT (Authorized Connectivity Training) is an extensive portfolio of twisted pair and fiber optic connectivity and structured cabling courses in support of the PartnerPRO Network. Courses cover cabling design, installation and testing for the NETCONNECT and UNIPRISE solutions. This course covers installing premises cabling systems for the CommScope NETCONNECT and UNIPRISE range of both copper and fiber products, including transmission basics, installation and termination and applicable standards. This CommScope ACT II course looks at field test equipment for the verification of cabling installation/performance for both copper and fiber including test procedures and analysis in buildings/data centers. This cabling infrastructure course provides a complete foundation for the enterprise designer based on industry best practice & cabling standards. From initial design considerations, background knowledge, detailed design concepts & project planning. This CommScope online installation training course is for those students that require re-certification of ACT I within 3 years. The course includes the latest update material to support successful solution installation. Recertification is achieved by taking the SP3802 course which this link will re-direct you to. 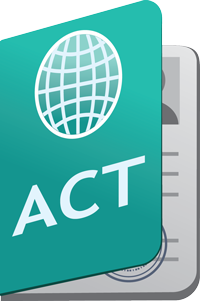 This CommScope on-line course is for those students that require re-certification of ACT II course within 3 years. Recertification is achieved by taking the SP3000 course which this link will re-direct you to. This CommScope on-line course is for those students that require re-certification of ACT III course within 3 years. * Any applicable discounts will be applied when the purchase is added to your basket. This classroom based NETCONNECT certification course teaches the latest installation and termination techniques to support the solution to ACT I level. If you prefer to take this course online or it is unavailable locally, refer to the SP3801. This NETCONNECT certification course teaches how to certify the performance of installed premises cable plants to ACT II level in a classroom. If you prefer take this course online, or it is unavailable as a class locally, refer to the SP3802. This NETCONNECT certification course teaches you how to Design Premises Cabling to ACT III level in a classroom environment. If you prefer take this course online, or it is unavailable as a class locally, refer to the SP3000 on this page.